Not only is the 2016 Volt a way better looking vehicle than the original, but it will also do 50 miles on a charge while staring at $33,995 including the destination fee. That’s $1,175 less than what they ask for the current Volt. 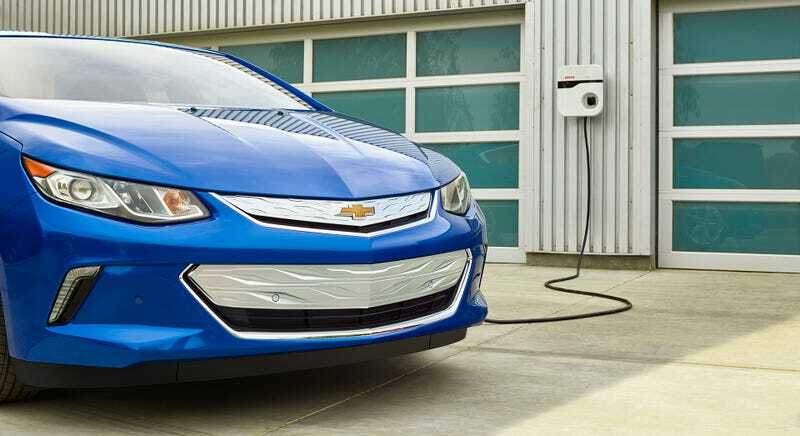 Nearly 70 percent of Volt owners trading in a non-GM product or adding to their household fleet in 2014, the highest of any Chevy nameplate. The number one trade-in for the Volt is the Toyota Prius. Volt owners who charge regularly can expect to drive an estimated 1,000 miles or more between fill-ups, based on GM testing. The 2016 Volt will provide owners with impressive fuel economy of a GM-estimated 102 MPGe (electric) and 41 combined mpg on gasoline power. The new Volt will offer a GM-estimated 50 miles of all-electric driving range on a single charge, a 31-percent improvement over the first-generation Volt. This means new Volt owners should anticipate that approximately 90 percent of trips in a new Volt will be driven all-electrically. Well, this might just work.